At the Pathways of Hope Grief Counseling Center, the professionals work to educate individuals about ways to think about the common phases of the human grief experience. Some phases can be quite detailed and tedious, as grief tends to be sometimes. Others are extremely simple. The simple construct of “Remember, Rebuild” is exquisite in its wisdom. When working through grief, we need to spend time remembering our loved one, and embracing the past. We also need to spend time focusing on the present, as well as on the future, as we rebuild our life without the person. Time in both worlds is needed and will help us to heal. It may seem as though grief keeps us purely in one world for a while, and that is okay. It is important to know that we can move to the other world at any time. The Pathways of Hope Grief Counseling staff includes Masters and Doctoral prepared counselors, whose life work it is to walk with you as you journey in these worlds. It is this journey that provides healing over time. We are privileged to serve any adult, child, or teen that has lost a loved one. Pathways of Hope Grief Counseling Center, the professionals work to educate individuals about ways to think about the common phases of the human grief experience. Some phases can be quite detailed and tedious, as grief tends to be sometimes. Others are extremely simple. The simple construct of “Remember, Rebuild” is exquisite in its wisdom. The Pathways of Hope Grief Counseling staff includes Masters and Doctoral prepared counselors, whose life work it is to walk with you as you journey in these worlds. It is this journey that provides healing over time. We are privileged to serve any adult, child, or teen that has lost a loved one. 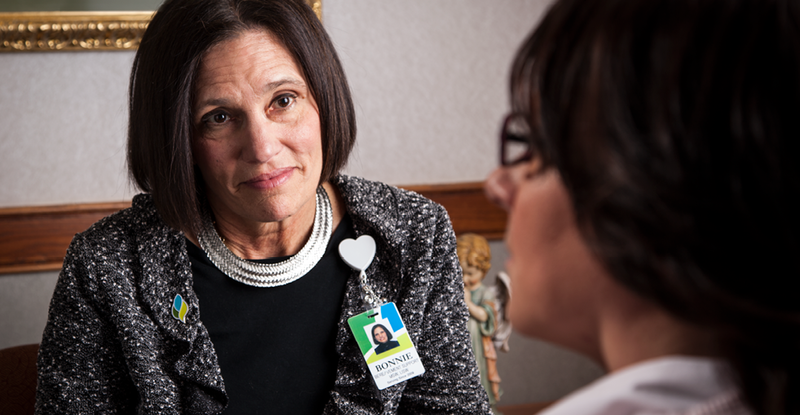 Pathways of Hope is supported by the Hospice of Dayton Foundation, and we do not charge for grief support services. You can reach us by calling: 937-258-4991. We look forward to spending some time with you this winter season. Best wishes for peace and joy in the New Year. previous post: Camp Breakaway Flashback!